There are a lot of threats out there today, and they get smarter and smarter. While no software will protect you from yourself, it does go a long way to help things out. The problem is that there are so many different pieces of software out there, how do you figure out which one is right for you? Let’s dive in and I will show you how I choose protection for myself and my clients. Bitdefender, Kaspersky, Panda, Symantec and Trend Micro. 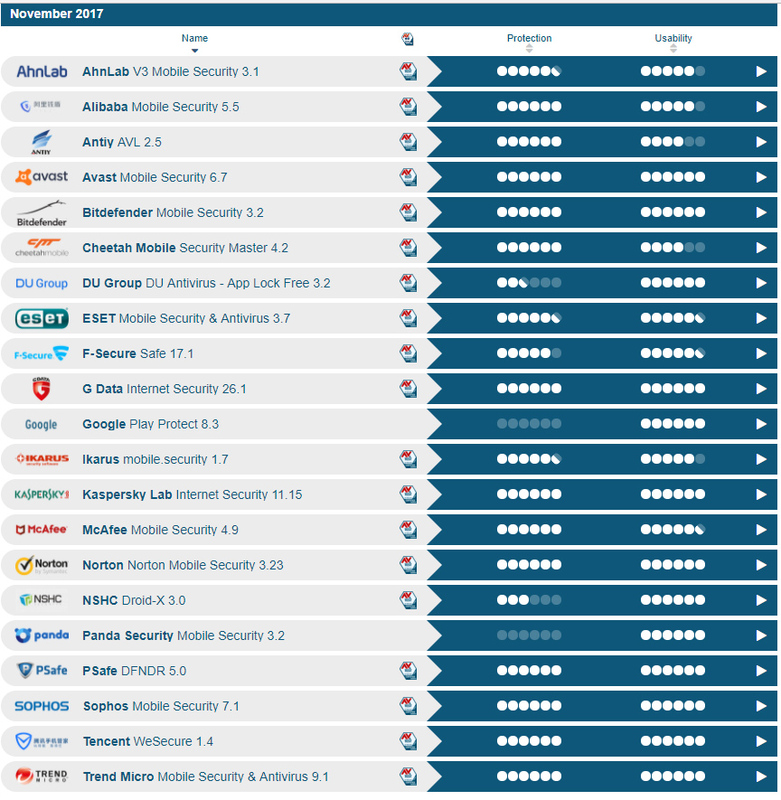 I would pick Avast, Bitdefender, Kaspersky, Symantec(Norton) and Trend Micro from this chart. Now put the two lists together and see which ones are winners on both charts. In this case that would be Bitdefender, Kaspersky, Symantec(Norton) and Trend Micro. Now go back to av-comparitives.org and look for their malware removal test to see what packages won there. We look at this after the protection tests from both organizations because malware removal is less important than protecting from the infection to start with. Looking at the packages that won top honors we see there are two which are in our list of four with the best protection, Bitdefender and Kaspersky. In this test we see that Bitdefender is a little slower in one aspect while Kaspersky is a little slower in a different respect. I would call this a tie and I tend to break ties based on what I am already running or most familiar with, in this case the winner would be Kaspersky. But what about all the bad press about Kaspersky and the Russian government? Read all those news stories again, there is not one single piece of evidence, even bad evidence, that Kaspersky has ever done anything wrong. All you hear is a bunch of “they could” and “it is possible” comments. Those same news articles completely fail to mention that other companies like Symantec use overseas technical support and programmers which opens up just as big a potential security hole as anything Kaspersky does. Heck, if you store any data at all in a Google account, that is almost guaranteed to be stored in servers all over the world where foreign governments could “potentially” get their hands on it. Much ado about nothing. Lastly, if you are unsure about a tie, look at some reviews from other trusted sources such as PC Magazine. 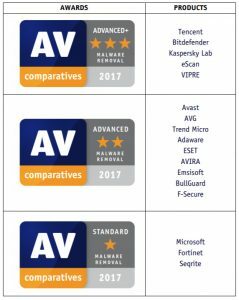 Note that both Bitdefender and Kaspersky won the Editor’s Choice award and are in the top four tied scores for best product. Even better, Kaspersky has a completely free version now that uses the same antivirus/antimalware engine as their paid versions giving you the same protection and removal capabilities, all for free. Unfortunately there really is no neutral comparison organizations for ransomware that I know of. To some degree, all of the antivirus manufacturers have included at least some protection for ransomware in their products. The best solution I have found, and one I know for a fact has saved a client, is CyberReason.com‘s ransomfree. 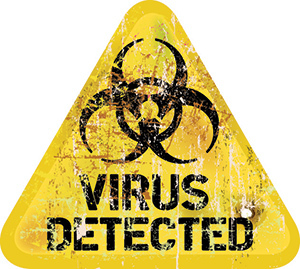 This product is completely free and works well running beside other antivirus and antispyware products. It just sits in the system tray quietly waiting for ransomware to show itself and then it springs to life terminating the ransomware process and preventing it from encrypting your files. Since it is free and very low impact on the system, I run this on all my computers and even entire networks for some of my clients. Even if it is only partially effective, I can not see a downside to having everyone run it. 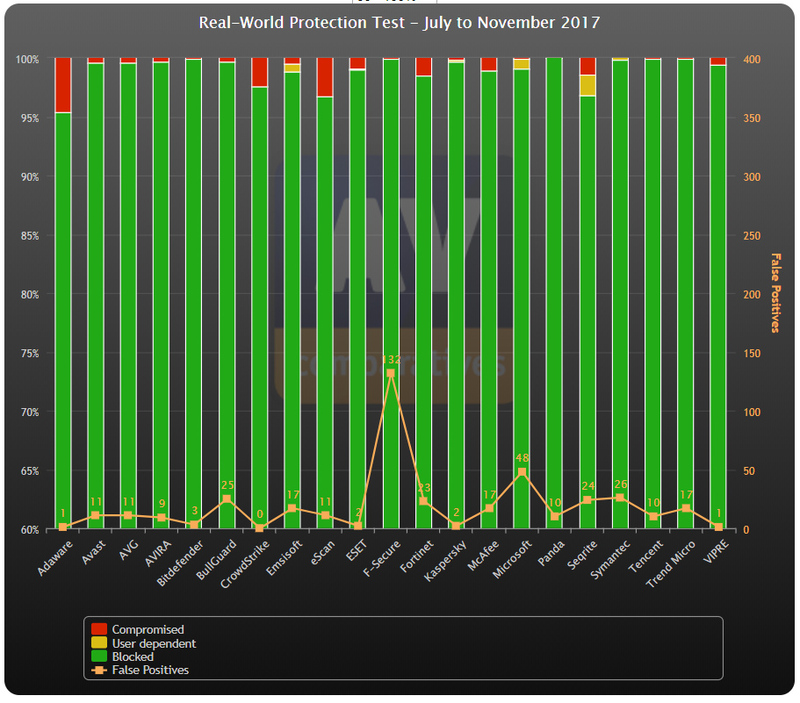 Since tests can change, and antivirus packages have to continually adapt to new threats, I tend to average out little inconsistencies in the tests from month to month. What this means is that if a package does very well every month over a long period of time, then has one month where is does poorly, I will ignore that month. If the package starts doing poorly on a more regular basis then I will drop it from consideration but I will not punish a product that has been in the top for years just because it did bad once or twice in that period of time. Lastly, as I stated in the beginning, no software can completely protect you from yourself. Be careful on websites, do not open email attachments unless you are 100% sure you should, and never give your information out to anyone unless you know they are who they say they are. Everything Else & Then Some!